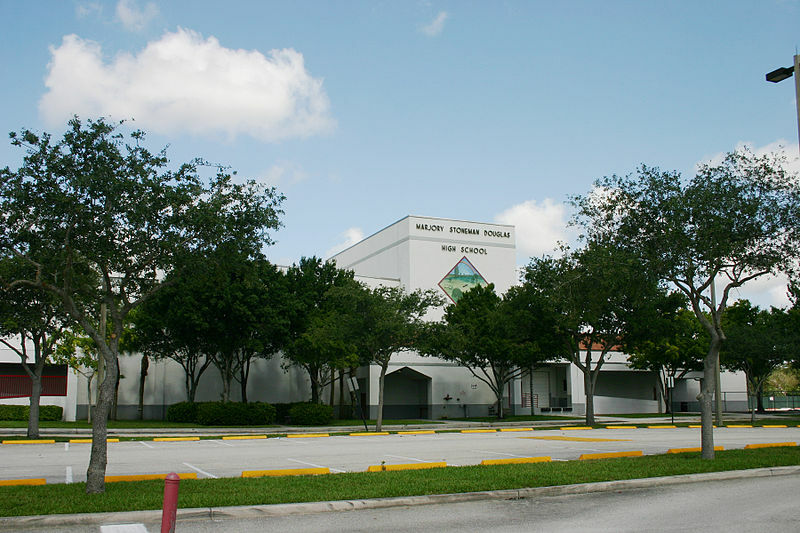 As more information becomes available about the school shooting that occurred at Marjory Stoneman Douglas High School in Parkland, Florida, FIU experts are available and ready to speak about the situation. Professor Comer is available to discuss the impact of traumatic events on children and adolescents. He has conducted extensive research on the psychological impact of terrorism and other traumatic events or disasters on youth, including the Boston Marathon bombing and the September 11 attacks. As Director of the Mental Health Interventions and Technology Program at FIU’s Center for Children and Families, his research focuses on expanding the quality, scope and accessibility of mental health care for youth. Much of his work examines children’s media-based exposure to traumatic events and how caregivers can best discuss frightening world events with their children. Professor Lazarus is the director of the school psychology program at FIU’s School of Education and Human Development. He is a national and international expert on crisis prevention and response. He is a founder of the National Association of School Psychologists National Emergency Assistance Team. This team has responded to dozens of school shooting throughout the past two decades and also responds to natural disasters and other tragedies that impact schools. He has written extensively on the area of helping children and families recover in the aftermath of these events. He is available for phone interviews. Professor Fava can address childhood adversity and trauma-informed care. Her research bridges the child maltreatment, trauma and sexuality fields from a developmental, trauma-informed, resilience-based framework via participant-centered and community-based research. Her work focuses on understanding multilevel factors impacting healthy development in order to inform effective interventions. Fava is available for phone interviews. Isabel Rodriguez-Duncan can address crisis management, and large and small-scale crisis incident responding. She is a licensed clinical social worker specializing in the delivery of clinical services to school-aged youth with special needs including treatment of ADHD, conduct disorder, substance abuse, oppositional defiant disorder, anxiety disorders, psychosis and mood disorders. With more than 24 years of experience in program development, management and delivery of clinical services across the lifespan, Rodriguez-Duncan’s clinical experience includes crisis management, large and small-scale crisis incident responding, suicide, and bullying/violence prevention. She has also worked on district and state support policies and program school supports for youth identifying as LGBTQI. She has worked with Miami-Dade County Public Schools (M-DCPS) for more than 20 years at the school and district levels which included chairing the Mental Health and Crisis Management Department of M-DCPS. Rodriguez-Duncan is available for interviews in English and Spanish. Goldman can address the documentation of a large crime scene as well as the processes and procedures of crime scene investigation (collect, photograph, document and preserve physical evidence; maintain chain of custody; analyze, identify, and classify physical evidence). She is a Certified Senior Crime Scene Analyst and has more than 10 years’ experience in crime scene investigation with the Orange County (Florida) Sheriff’s office. She is a fingerprint expert and trains law enforcement and military police in CSI techniques. Erika Coles can discuss how to talk to children about violence, how to recognize signs children may need to seek help after experiencing a traumatic event and how schools can help children cope with violence. She cautions that there are no reliable predictors of those children or adults who will display violence, including any mental health conditions. Coles examines the effectiveness of behavioral interventions in the school setting. She is specifically looking at how consultation interventions can be used to enhance teacher integrity, knowledge, attitudes and skills to improve student outcomes in the classroom. She also specializes in behavior interventions to assist children with ADHD in the classroom, including a behavioral plan to prevent behavior problems from interfering with academic and social functioning. Jeremy Pettit can discuss the feelings of anxiety, fear and depression people may be experiencing in the aftermath of the Marjory Stoneman Douglas mass shooting. He also cautions that drawing quick, simple conclusions about causes of the shooting does little to help us understand what happened and may lead to stigmatization of mental health problems. Pettit is director of the Child Anxiety and Phobia Program at FIU’s Center for Children and Families. He specializes on the course of depression, anxiety and suicidal behaviors over time. His research includes interpersonal and cognitive factors that contribute to the onset, maintenance and recurrence of these behaviors. An expert in anxiety and depression, Pettit has written more than 100 scientific papers and received numerous awards and grants for his work in this area.